An Expungement proceeding is used to petition the court to seal a record of a first-time offender’s criminal conviction. If a criminal record is expunged, for all intents and purposes the court proceedings surrounding the adult arrest or the juvenile situation are considered not to have occurred; the records are sealed at the state or federal level. In some cases the records are actually destroyed, but in other cases, the records are simply sealed. In cases where the expunged records are not destroyed, the records may still be available to law enforcement, to sentencing judges on subsequent offenses, and to corrections facilities to which the individual may be sentenced on subsequent convictions. Additionally not all states honor New Jersey’s expungement orders. 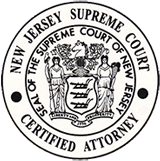 While expungement deals with a prior criminal record, the process to petition for an expungement is considered a civil matter and, therefore, the matter is handled in the New Jersey Civil Court system. The law recognizes that a minor who has been accused of criminal acts or ‘delinquent acts’ deserves a second chance – an opportunity to enter into his or her adult years without a ‘record.’ Therefore, expungement typically happens when the minor turns 17 or 18 years old. Expungements give an individual the legal right to state, even under oath, that the event never occurred. There should not be any intervening incidents. Prior incidents cannot exceed a specific number. The nature of the conviction cannot be too serious. All sentence terms must be fulfilled completely. The incident must have been disposed without a conviction. Probation, if applicable, needs to have been completed without incident. If you or a loved one are eligible for expungement, a Petition for Expungement must be prepared and filed in the Superior Court in the county the arrest or prosecution occurred. The Petition itself must be filed by the person seeking the expungement. A judge rules on whether or not the individual should be granted the request and an Expungement Order sets forth the judge’s decision. 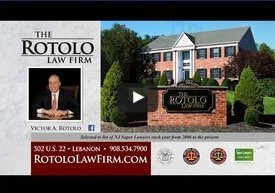 Victor Rotolo, Steven Karch, and the Firm's attorneys at Rotolo Karch Law can assess whether or not you are eligible to proceed with an expungement of your record. 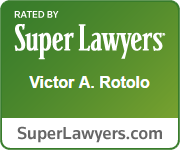 Do not hesitate to call for a free consultation.